Bengal Black Granite is natural original Granite from India. Its base of Black color with attractive light white grains or silvery minerals scattered throughout its surface. Bengal Black is one of the strongest natural stones, providing a high performing surface to kitchens, bathrooms and floorings. Bengal Black Granite is preferred by most of the contractor for construction because of its base of Black color as well as attractive good look of light white grains. It requires low in maintenance and Bengal Black Granite is suitable for both interior and exterior use. 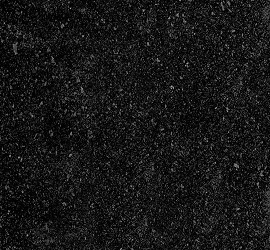 Kushalbagh Marbles is the leading manufacturer, supplier and exporter of Bengal Black Granite. We are exporting Bengal Black Granite to over 20 countries all over the world. We supply Slabs, Tiles and other cut sizes of Bengal Black Granite.